This is a self-help book aimed at teaching people how to forgive and reconcile, founded on scientific research and clinical psychology, rather than on uncontrolled clinical practice, personal testimony, or theology. Everett has spent years researching forgiveness and reconciliation, including how people respond physiologically to transgression, and how they calm down when they forgive. He has distilled his research on forgiveness into a five-step model called the Pyramid Model to REACH Forgiveness, the details of which make up the first part of the book; his four-step Bridge to Reconciliation makes up the second part. 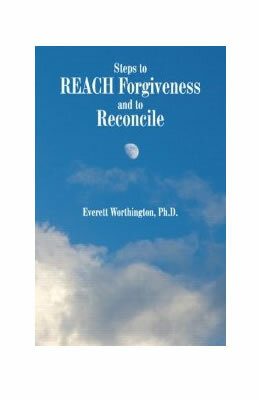 Steps to REACH Forgiveness and to Reconcile is framed very personally. It not only describes how forgiveness occurs in clinical practice and normal human relationships, it also describes the Everett’s personal story in forgiving the murder of his mother. It deals with self-forgiveness as well. As Everett’s own story attests, people can learn to forgive and reconcile. Steps to REACH Forgiveness and to Reconcile presents an evidence-based intervention to help people do so more quickly and easily, if they are committed to trying.